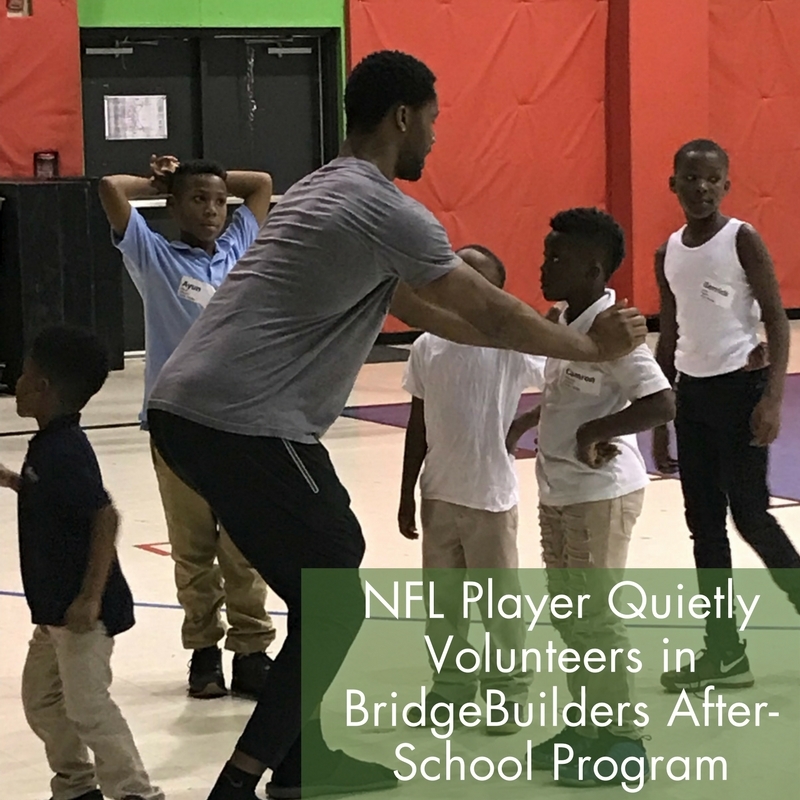 If you happened to be at Turner Courts Gym recently, while the BridgeBuilders KIDS After-School program was underway, you might have noticed Cincinnati Bengals’ defensive end, Michael David Johnson coaching the boys on the basketball court. At 6-feet-7 inches and 280 pounds, he’s frankly hard to miss! In an era of self-absorbed, prima donna athletes, it is refreshing to see someone like Michael quietly show up asking if he can volunteer with the kids; no entourage, no cameras, just him wanting to help local kids growing up in a tough situation. Originally, from Selma, Alabama where he was not only his High School’s star athlete but also class valedictorian, Michael now lives in Dallas during the off-season. Michael came down to Bonton and served last year just prior to the 2017-2018 NFL season saying, “I’ll be back when the season ends.” Sure enough, he showed up after the season ended in similarly humble fashion and he continues to serve. While he could certainly flaunt his NFL credentials, give the kids a thrill and be on his way, that isn’t why he comes. There is no sense of self-promotion to further his public image or to satisfy an obligatory task. He simply cares about these kids and wants to inspire and encourage them in any way that he can. Suffice it to say, the kids get a little excited when he comes! Older PostBridgeBuilders’ Most Successful Outreach & Evangelism Program Ever—Returning to Bonton!